Santana High School senior football player Devan Henselmeier received the 2016 Dr Pepper Most Inspirational Player Award during the recent National Funding Holiday Bowl. Henselmeier was presented with a $2,000 scholarship on the field during the college bowl game Dec. 27 at Qualcomm Stadium. 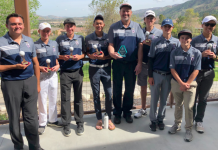 He was selected from a pool of San Diego county student-athletes to receive the award. The presentation took place during the first half of the University of Minnesota Golden Gophers’ 17-12 upset win over the Washington State Cougars. 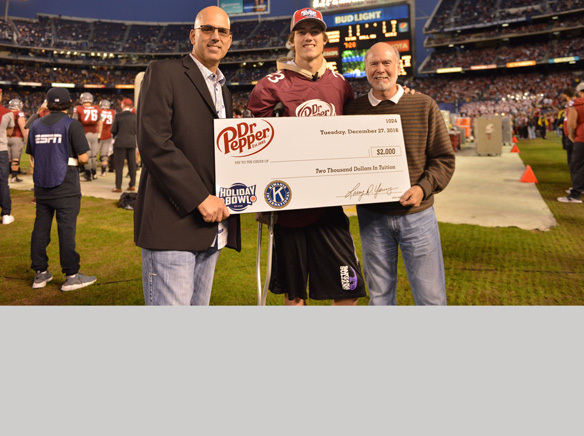 The Dr Pepper Most Inspirational Player program aims to recognize a San Diego County high school football player who, through their presence, actions and words of encouragement, serves as an inspirational example to their teammates. Henselmeier, who plays as a defensive end for the Sultans, is a long time football player with a passion for the game. He’s also had to overcome personal adversity. At the beginning of the 2015 football season, Henselmeier’s mother lost her fight to breast cancer. Despite going through the battle of losing his biggest fan, he still had an outstanding junior year. He recorded 11.5 sacks, made first team all-conference and received the co-defensive team MVP award. However, in the final game of his junior year, a knee injury ended his season prematurely. He went eight months without a diagnosis. Two weeks before camp started, he found out that he had torn his MCL, ACL and meniscus. At this time, his MCL and meniscus had healed on their own, but his ACL was still torn. The doctor gave him two options: play and risk re-injuring his knee or forfeit his senior year and undergo surgery. Henselmeier chose to play his entire senior year with only a brace as support. 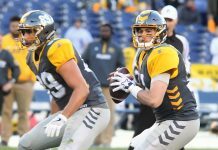 He had the opportunity to play alongside his team in the San Diego Section Division IV championship Game, as well as represent his mother in the month of October, during which the football team wore her initials over pink wristbands in each game. He ranked fourth on the team with 53 tackles and third with four sacks. Overcoming abundant adversity through his high school football career, Henselmeier continues to serve as a source of inspiration for his teammates and coaches, and is certainly deserving of the Dr Pepper Most Inspirational Player Award, according to judges. Rock 105.3, XTRA 1360 Fox Sports San Diego and the Kiwanis Club of San Diego support the Dr Pepper Most Inspirational Player Award. WSU had four East County players on its roster: Helix High graduates Jahad Woods (linebacker) and Mason Vinyard (rushing linebacker), Patrick Henry alumnus Dezmon Patmon (wide receiver) and Valhalla grad Danny Bender (defensive lineman). All are freshmen. Patmon appeared in pre-game warm-ups.